contact our Brisbane office today. 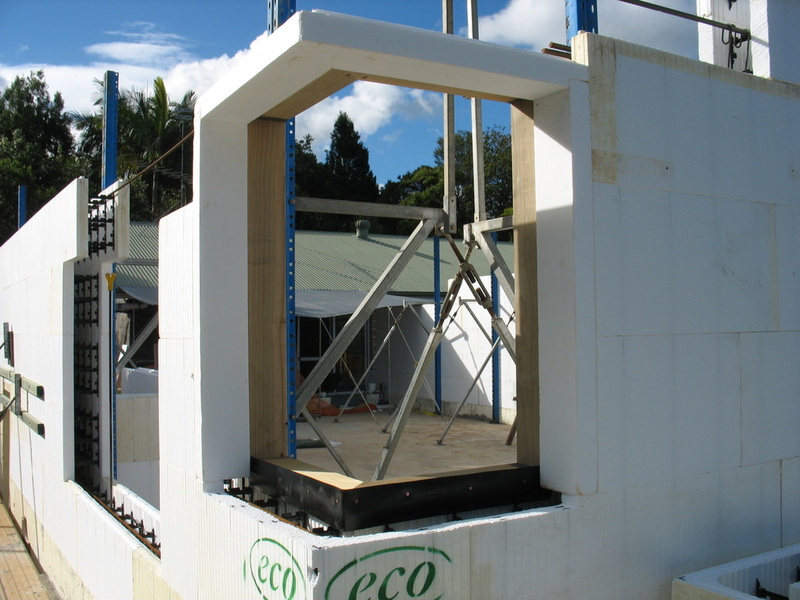 ICF blocks ( insulated Concrete forms) represent a superior way to build. 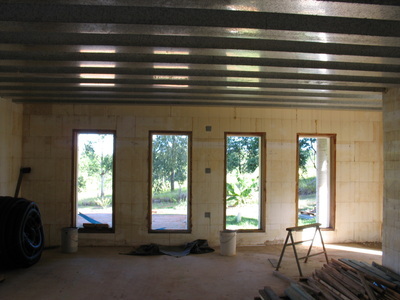 it is also one of the simplest methods of construction. 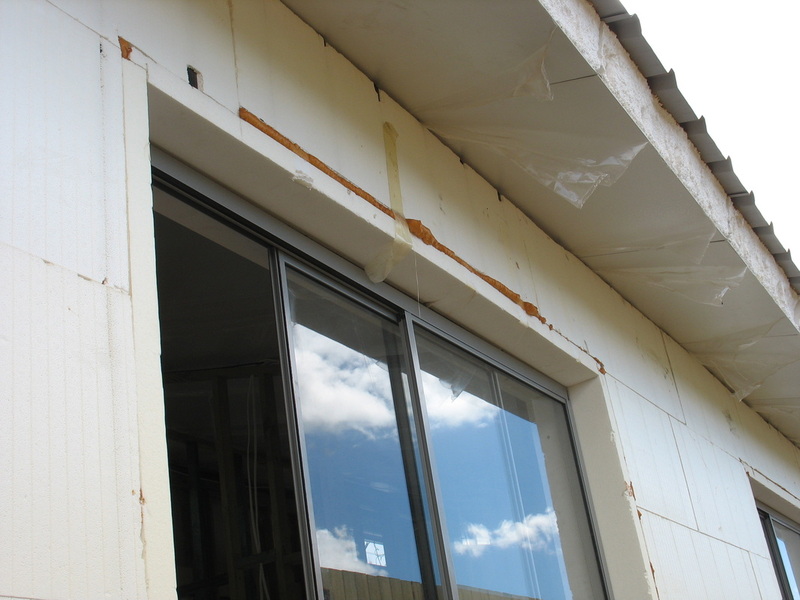 ICF blocks are made from EPS ( expanded polystyrene ) panels that are connected with interconnecting spacers to create a cavity in the wall. 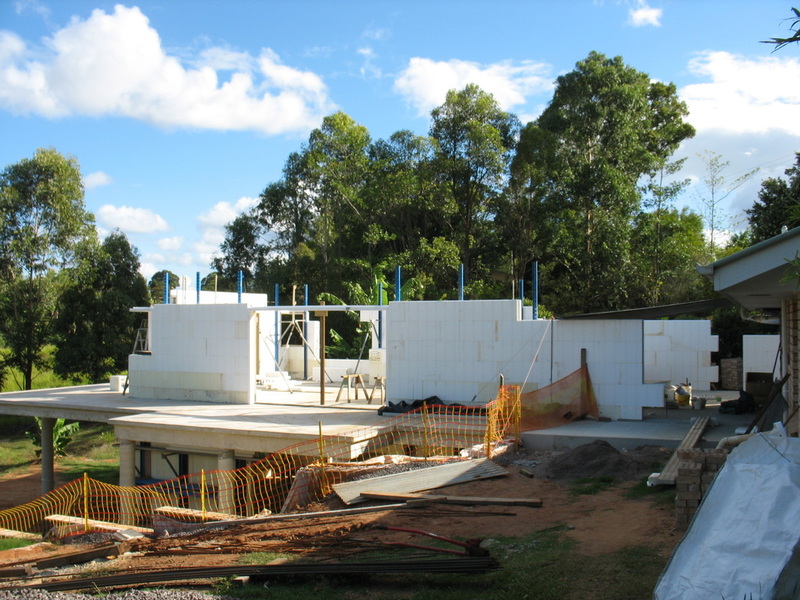 The ICF method of construction gets the job done faster, we have numerous accessories to assist with our building, thus providing a simpler fully integrated building system, taking less time to build without the need for bricklayers or form workers. because our blocks are "flat packed" there is also a saving on transport costs. The energy saving costs generated by ICF Buildings is enormous and continue for the life of the building. ICF homes are multigenerational with a greater life expectancy than traditional brick veneer homes. 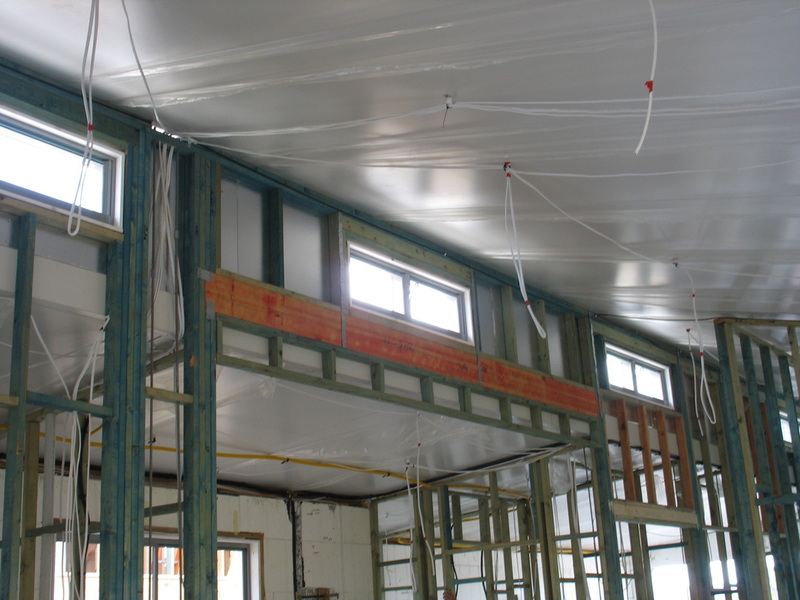 Being a stronger construction both thermal and sound insulated, both cyclonic and seismic rated, resistant to fire, moisture and mould it makes sense to build in ICF . when you put all of these elements together with a positive ecological impact ...it is by far a better and healthier was to build. contact us for one of our designs or a custom build. 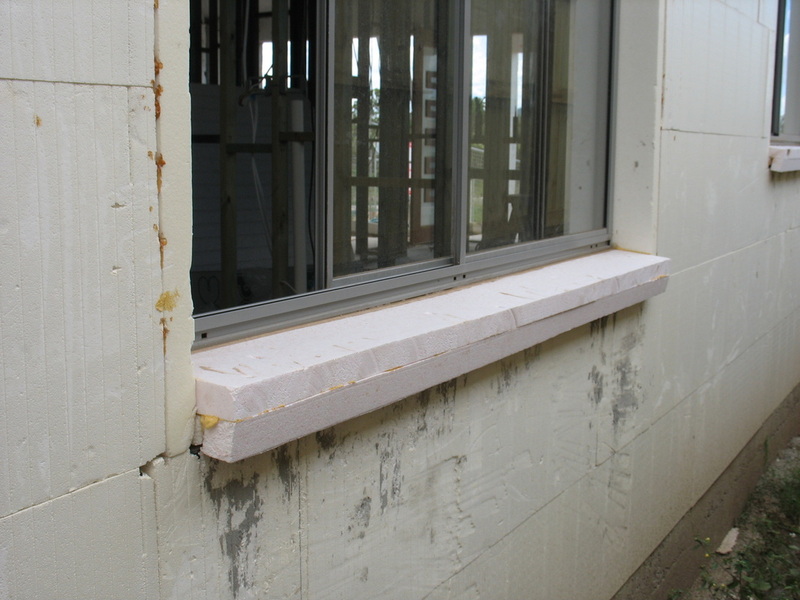 Thermal insulation.....by locking up the thermal mass in the concrete you save on heating and cooling bills. Sound insulation ...... no annoying traffic noises. Cyclonic rated ...... can easily be built to category 1 cyclonic rating. Seismic Rating ..... because it is built as a solid reinforced "box" it resists earthquakes. fire resistance .... up to a four hour fire resistance rating . 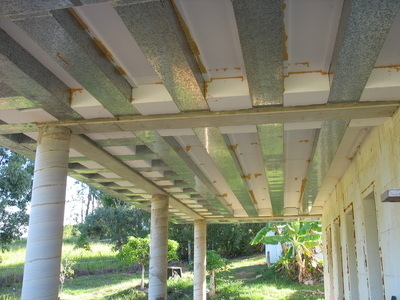 better indoor environment air quality ......outdoor pollutants can be kept to a minimum .... good for allergy sufferers. 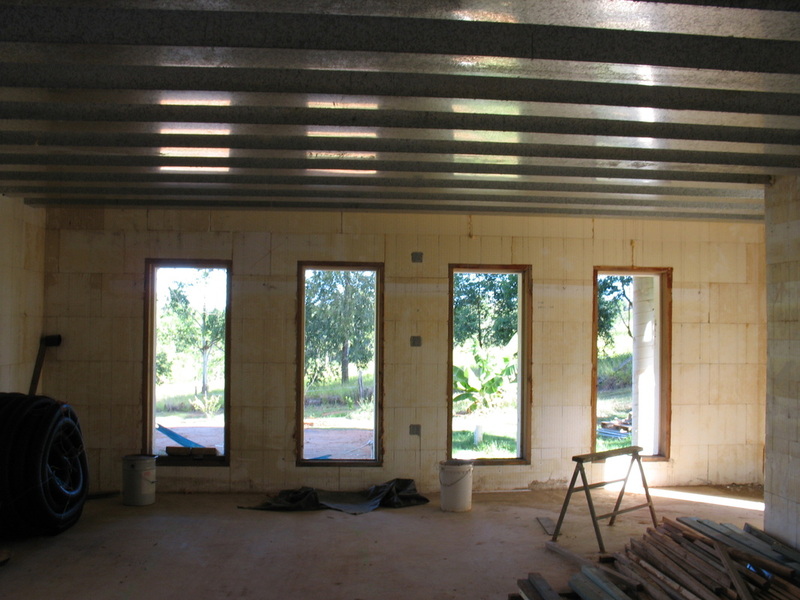 Cost comparative ICF buildings are cost comparative with the traditional rendered brick veneer homes. 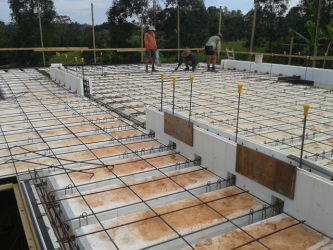 Easy Slab is a high performance stay in place insulated concrete suspended slab system which is environmentally friendly and a cost efficient system. Our Patented design using our "steel Pans" and EPS ( fire resistant expanded polystyrene) which gives a lightweight product with a superior strength and insulation. 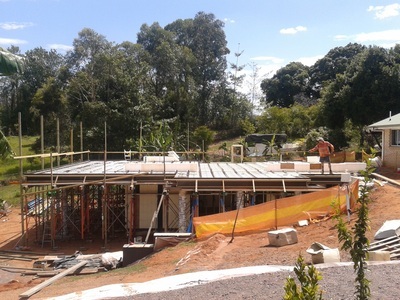 Easy Slab ticks all of the boxes, fire rated, strong, lightweight, insulated ( both thermally and acoustically) and due to it's simplicity quicker than other systems to install as it has less components, so it's also cost effective. 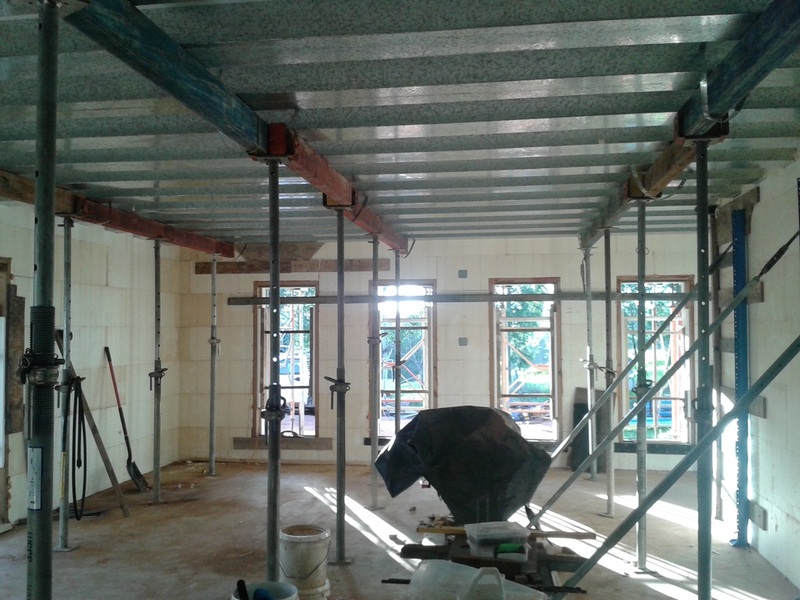 step downs for wet area's are easily incorporated into our beams. Easy Slab can be installed on any I.C.F block wall system or core filled concrete block wall system. ​An ICF house with an insulated suspended concrete upper floor rotated through 25 degrees, the Terraced roof adds another living / entertainment area making it suitable for a small block or a block with a view.